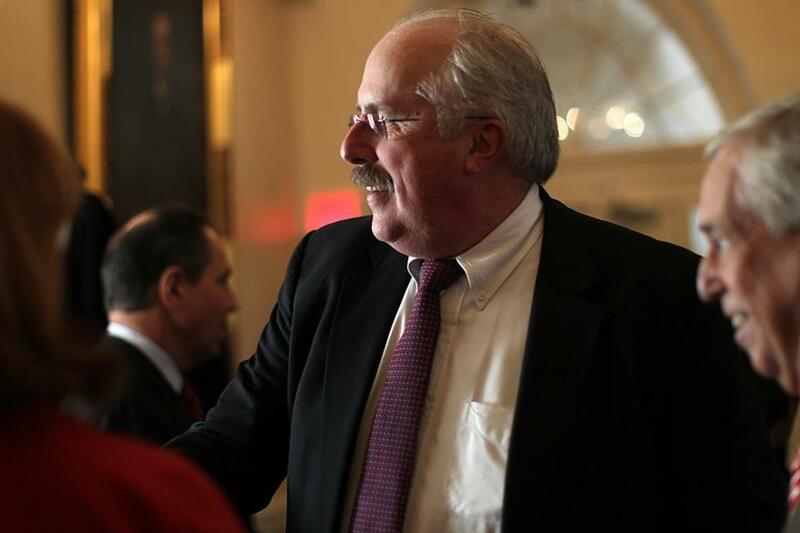 Partners HealthCare chief executive Dr. David Torchiana at Massachusetts General Hospital earlier this year. Despite concerns about rising health care costs, the head of the state’s largest and most expensive network of doctors and hospitals said Thursday that health care is “very affordable” in Massachusetts. Partners HealthCare chief executive Dr. David Torchiana, in remarks to the Greater Boston Chamber of Commerce, acknowledged that health care costs are higher here than in other parts of the country, largely because Massachusetts is home to several large teaching hospitals whose training and research programs make them expensive to run. He cited figures from The Commonwealth Fund, a New York-based health care research foundation, that found health insurance premiums represent 18 percent of median household income in Massachusetts, but 21 percent of income for households across the United States. Massachusetts’ median household income of about $68,000 is nearly 30 percent above the national median of about $53,000, according to the US Census. State and federal data show that after slowing in recent years, health care spending is accelerating. In 2014, Massachusetts spent $54 billion on health care, or $8,010 per person, an increase of 4.8 percent from the previous year, according to state figures. That exceeded a state target of holding health spending increases below 3.6 percent a year and was much higher than the local rate of inflation, 1.6 percent. Should a surgeon run two operations at once? It is the root question in a battle pitting a star surgeon against MGH, and the conflict has put careers and reputations at risk. Partners has taken steps to control costs by embracing new insurance payments that encourage doctors to reduce unnecessary hospital visits and procedures. But Torchiana indicated that too much pressure to cut health care costs could mean less money for patient care and medical research. In October, Governor Charlie Baker, a former health insurance executive, made comments similar to Torchiana’s, saying Massachusetts health care costs are not unusually high when incomes are considered. But employers, consumer advocates, and health care specialists who have watched medical costs climb higher over the years challenged those assertions. Amy Whitcomb Slemmer, executive director of the consumer advocacy group Health Care for All, said many consumers are struggling not just with rising premiums but also with other out-of-pocket costs, such as deductibles in the thousands of dollars. Stories in the Boston Globe and reports from the attorney general’s office have shown that Partners charges more than its competitors for similar care. Attorney General Maura Healey has said this market “dysfunction” is pushing medical spending higher across the state. The price gaps are also the target of a ballot campaign from the Service Employees International Union, which is seeking to regulate hospital payments so Partners collects less money and its smaller competitors collect more. Torchiana, a heart surgeon and longtime executive at Massachusetts General Hospital, became chief executive of Partners, Mass. General’s parent company, about nine months ago. In doing so, he quipped, he became the head of an “800-pound gorilla,” referring to Partners’ size and place in the health care market. 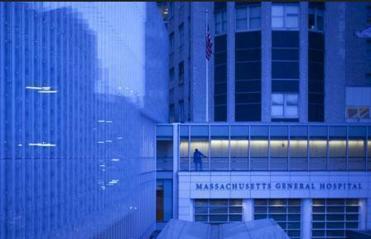 Boston-based Partners includes 10 hospitals and 6,000 doctors and is the largest private employer in Massachusetts. Its hospitals are world famous, but locally Partners is also known for being the most expensive health system. Torchiana, in his speech, remarked on Partners’ role as the largest biomedical research institution in the country, with an annual research budget of about $1.4 billion, and offered some personal anecdotes. He recalled moving to Boston as a young newlywed to attend Harvard Medical School many years ago, settling into a basement apartment in Jamaica Plain, and how the apartment filled with snow after the blizzard of 1978. Torchiana, known to friends and colleagues as “Torch,” said that after medical school and eight years of training at Mass. General, he felt “just barely ready” to work as a heart surgeon. He felt the same way when he left his role as head of the Mass. General physicians group to become chief executive of Partners, he said. In an interview after his speech, Torchiana said that his new job is challenging, and that he takes it more to heart than he expected.